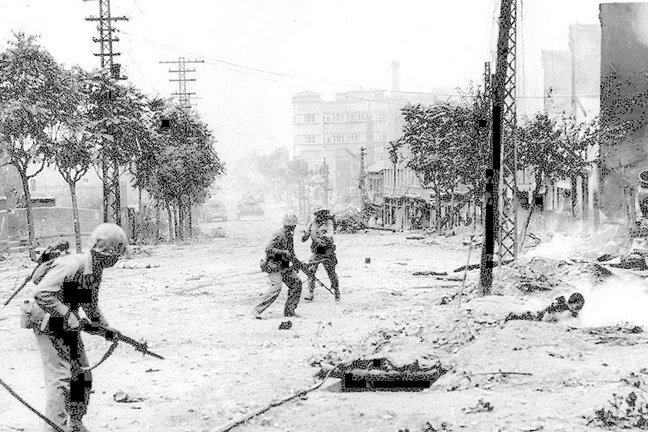 U.S. Marines engaged in urban warfare during the battle for Seoul in late September 1950. 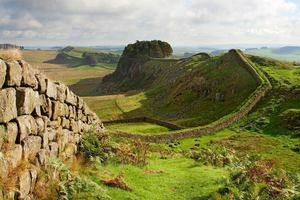 On the early morning of June 25, 1950, North Korean forces broke through the South Korean line along the 38th parallel in a premeditated invasion of the South. Although firefights and even larger battles had broken out before, this was something different. And although South Korean leaders were equally keep on ending on reunifying the Peninsula by force of arms, Pyongyang in the end was the first to act. 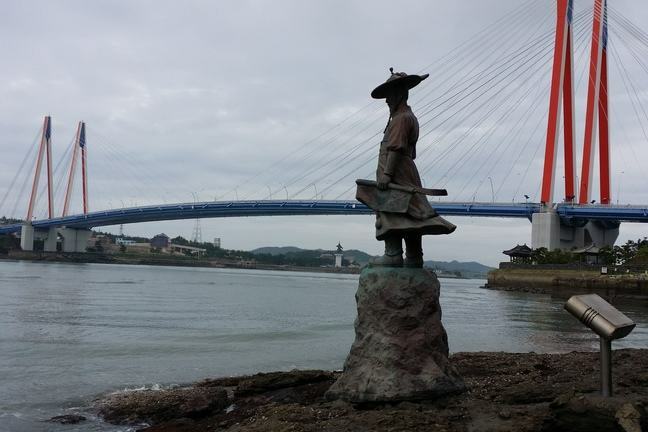 In a strange irony of history, the Busan Perimeter was roughly the same patch of land held by Hideyoshi’s force between the first invasion of 1592 and second wave in 1597. Now, centuries later, it was a mix of South Koreans and Americans trying to hold the perimeter against the North Korean wave. ROK soldiers defended a 55 mile line running north-south, while the US 8th Army held down a 75 mile border cutting east-west. Both sides fought tenaciously in the summer heat—field artillery, tank operations, hand-to-hand combat—as it was make or break. Finally at the end of the August, reinforcements from the US 2nd Division and UK 27th Brigade gave second life to the perimeter. The KPA staged another major offensive in early September, and pushing the perimeter back to the point where it seemed it might cave in. The line held, but would not last much longer.